10:30 am. Morning Worship and Sunday School. Tea and coffee are served after the morning service. Third Sunday of each month in the morning. 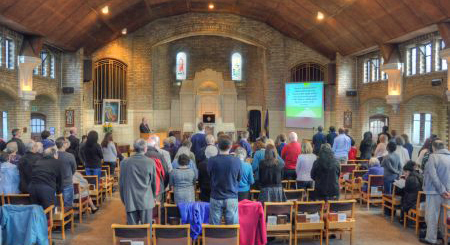 We welcome all who love and serve the Lord Jesus Christ to share with us in the celebration of communion. 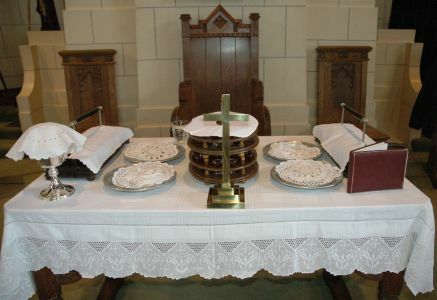 The book on the right hand corner of the table contains the names of all the Church Members and is placed on the table during Communion as a reminder of the whole Church family, both past and present. 10:30 am. "Questions about Spiritual Gifts." " Jesus the Servant King." 10:30 am. "Questions about the 3Ms – Mission, Ministry and Money." 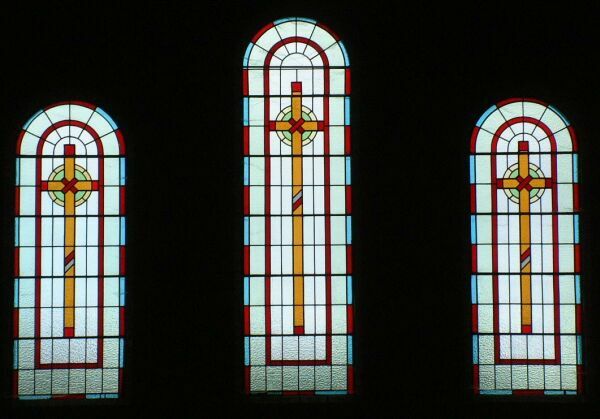 The coloured glass windows in the rear wall.